Back in October of 2014 (I’m late, I know!) 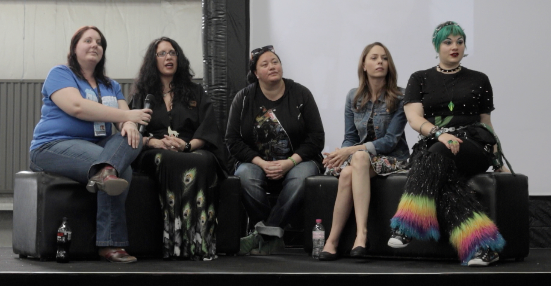 I was lucky enough to participate in a live panel chat called Geek Girl Speak at Armageddon Expo in Melbourne. The panel promised to deliver an exclusive all female ensemble of geeks, to gather and talk about their passions and to give a voice to women and girls and their experiences in geek culture. The panel consisted of our host, Sonja Hammer from Sci-Fi & Squeam on Joy 94.9, games lecturer and PhD candidate Laura Crawford, President of the New Melbourne Browncoats, Jen Cummings and comedian, Lisa Skye. Needless to say, it was an absolute blast and delivered on its objectives in spades. 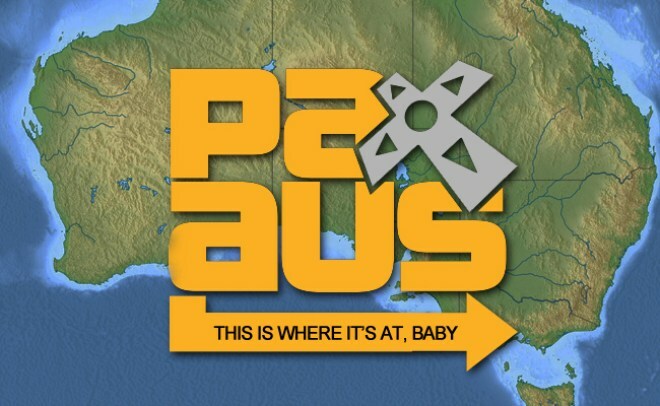 The panel was a lot of fun, but also, it made me realise that there’s a demand for this kind of conversation. Talking with these women to an audience full of eager fans, about strong female characters, female writers and the role of gender in popular culture, I got to thinking about spaces for gender inclusive conversations about geek culture. Whilst there are some wonderful local outlets, including the Geek Girl Speak podcast, Queer Geeks of Oz, the All Star Women’s Comic Book Club and Girl Geek Dinners, we need more. Geek culture is rapidly growing and the scene has expanded in recent years to include fans of a variety of genders, sexual orientation and ethnicity. Let’s be clear, these fans have always existed, but sadly many have been marginalised or alienated by a lack of diversity in the scene, which is still largely dominated by straight, white, cis males. So let’s open up some of these conversations! One of my favourite topics from the panel was on our favourite female characters. I love this kind of conversation because it always opens up interesting discussions around gender, representation and the notion of femininity. Truth be told, the notion of femininity is not in itself problematic; however the way in which this idea is used by mass media to force us into viewing characters through a socially constructed gender prism (i.e. women = feminine = weak, and men = masculine = strong), is. Not only do I resent this binary, but I also resent the devaluation of so called ‘feminine’ traits in popular culture, i.e. compassion, empathy, vulnerability, emotionality and sensitivity. That’s why my favourite female character is Buffy, from Joss Whedon’s Buffy The Vampire Slayer, because she figuratively “slays” this binary. Let’s face it, she blows it out of the water. Buffy is an appealing character because she is complex, multi-faceted and unpredictable. Whilst it may seem like a given that any well-written character should embody these traits, this is sadly often not the case for female characters. Many female characters are shallow, vacuous, one-dimensional plot devices used to serve the growth of the lead male. Buffy Summers, on the other hand, is driven by a complex combination of experiences, desires and often contradictory motives. The variety that Buffy offers as a human character serves not as a juxtaposition of emotional states, but as a demonstration of the human condition. Her ability to embody both strength and vulnerability makes her a role model, not a novelty. Despite the fact that we have very little in common – doomsday demons, dead ex-boyfriends and Algebra rarely feature in my world – Buffy is the most relatable female character I’ve known and, my favourite. She is the embodiment of the feminist spirit, the good girl who nightmares hide from. If nothing else, that is reason enough to love her. Feel free to share your favourite female character in the comments section below. Great site Emma! 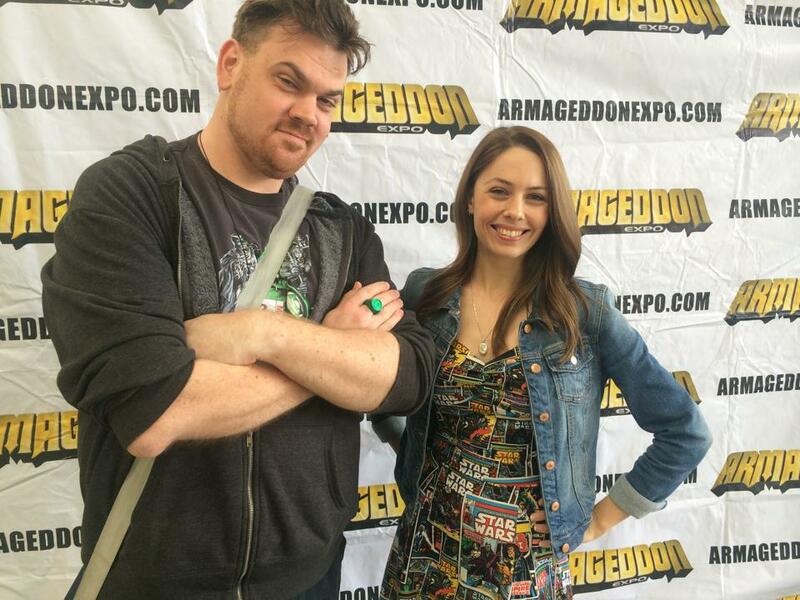 Good to see Laura here too!